5 Things I Love – July 11 + a lia sophia Giveaway! 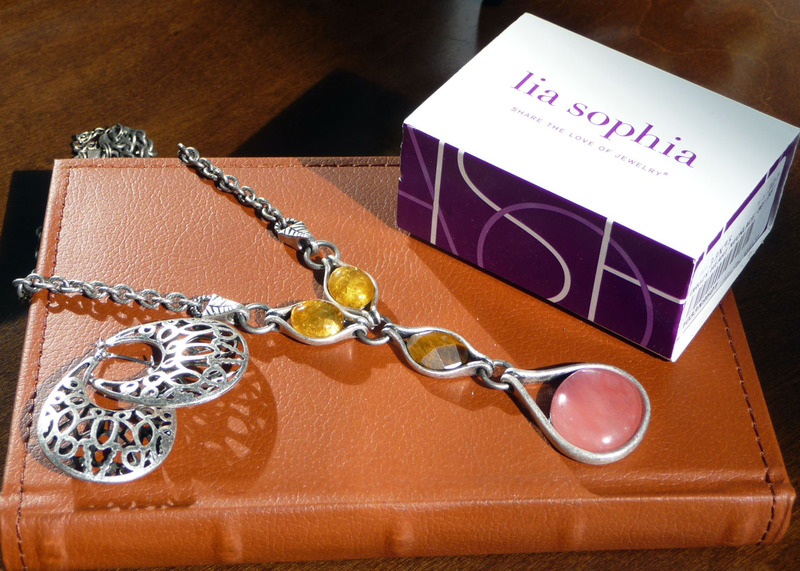 As of today the new lia sophia Fall/Winter catalog and Color special edition is live! With 617 styles in the new catalog it’s harder than ever to narrow it down, but here are my 5 favorite new styles to hit the catalog. Uber-feminine with a trendy vintage vibe, I can’t wait to acquire this necklace for myself so that I can rock it with jeans and a tee. Another fun, funky vintage look that reminds me of a collection of old brooches that have been strung together for a new look and new life. It looks great styled with a doubling of the Classique necklace (as seen on pg 15 of the catalog). Studs are back and these little beauties combine utilitarian matte finish with a dusting of shimmering crystal. Available in matte silver with clear crystals or matte gold with black diamond crystals, at $32 a pair I’m getting both (especially with the buy 1, get 2 @1/2 special this month). Charms have found their way into lia sophia and I love this wrapped leather charm bracelet with it’s assortment of mini slides available to customize it to your personal style. The last one is always the hardest. There are so many pieces that I would like to include in this list, but I knew it wouldn’t be complete without this necklace. So, what are your top 5 from the new catalog? Share your top 5 below and be entered to win the Moroccan necklace and Haven earrings, both collectible pieces which have a combined retail value of $108. 1. You must be 18+ & a resident of the USA. 2. You must include an email address so I can contact you. 3. Eligible comments must be posted by midnight of July 25, 2011. 4. Additional entries can be garnered by sharing this post on Facebook, Twitter or your own blog. Make sure to let me know what you did in the comment section by the July 25th deadline to be sure they’re counted. This giveaway is now closed, but you can always get free jewelry as a lia sophia hostess or when you refer a friend who hosts a show or tries the lia sophia opportunity. Also, I don’t think Sally’s votes should count and they should go to me instead. No really, you should know who this is. By the way, I facebooked and tweeted this. I’m in love with the new catalog! I can’t put the catalog down! It’s so amazing!! & 5. the Caramello necklace!! Rings have started to interest me lately, if you couldn’t tell… :) Also, you have my email information on Facebook should you need it. Hopefully you will!